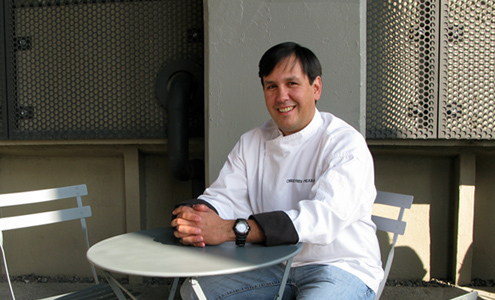 Christopher is an honors graduate of the Culinary Institute of America’s bachelor of management program. As Director of Restaurant Practice, he brings the benefit of his professional advice and hands-on field experience. This value-added advocacy guides clients through the process of evaluating appropriate alternatives for operational and development strategies in both new and existing ventures. His formative culinary experience occurred at prominent restaurants such as Wolfgang Puck’s POSTRIO and Myriad Restaurant Group’s RUBICON in San Francisco. Christopher has also worked in the kitchen of BOULEY in New York City. He has managed both front and back of the house in 250-seat high volume restaurants and has over 15 years total hospitality experience working in nearly all capacities of the business including chef-owner. Christopher’s proven experience as a restaurant owner-operator and manager make him indispensable in coordinating design, production and consulting services for restaurant and foodservice clients.